The government puts out information and acts like it proves nothing, BUT when you see what they intentionally hide from the public you see ABSOLUTE PROOF that the ROSWELL UFO INCIDENT and little bodies of Aliens (most likely hybrid clones from a lost ancient civilization) were recovered in Roswell in 1947. 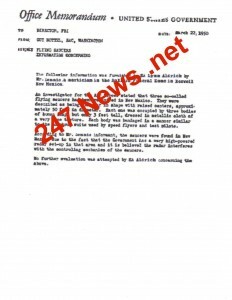 The smoking gun is a document you can see ON THE FBI WEBSITE and the FBI SAYS it is the most downloaded document on their site with over 1 Million views, well the document I am revealing in this article is THAT DOCUMENT and it has what the government REMOVED and IT PROVES ROSWELL REALLY HAPPENED as many witnesses have said. Flying Saucers crashed and little bodies of hybrid humanoids mislabeled as ‘aliens’ were discovered. This document will become the most famous DOCUMENT IN THE HISTORY OF THE NET since it proves ROSWELL HAPPENED and the US GOVERNMENT COVERED IT UP. The government covered up two names and the fact it was connected to ROSWELL. The document was created in 1950 by SA (Special Agent) Guy Hottel. It has been around in FOIA (Freedom Of Information Act) documents for decades and it is the Jewel of the FBI’s VAULT website where they keep such documents ONLY THEY REMOVE THE REAL IMPORTANT INFORMATION to keep the sheeple dumb and numb. Roswell New Mexico was removed as well as Mr. Dennis the mortician who claimed for years to have been contacted by the US Military to provide child sized coffins for the bodies of the ‘aliens’ which IN MY OPINION based on lots of research and writing numerous books on UFOS and GOVERNMENT CONSPIRACIES are not ‘alien’ but hybrid robotic/humanoid clones created by a lost ancient civilization. So Glenn Dennis a mortician in Roswell is well known to Roswell researchers and he claimed the US military contacted him to provide small coffins for the victims of a flying saucer crash. 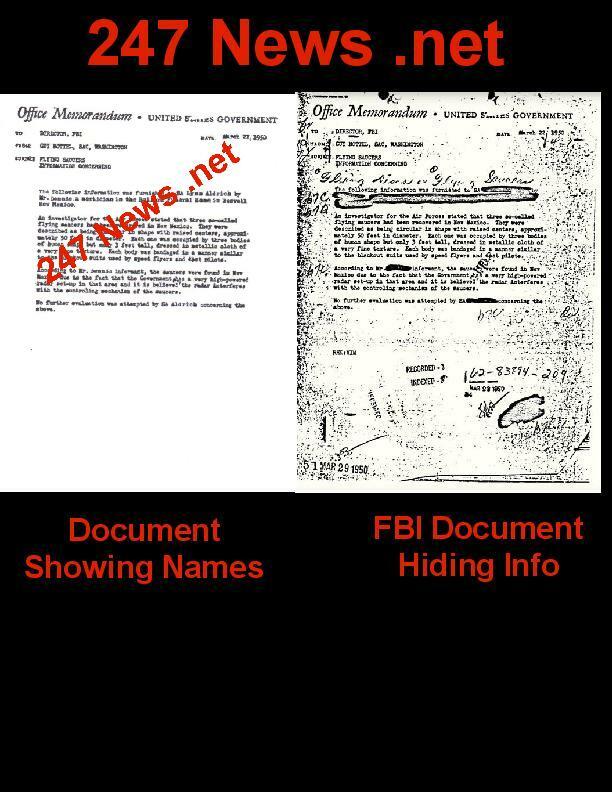 Mr. Dennis is named in the document and that name was removed by the FBI and US Government. Roswell New Mexico was removed as well. Also removed was the name of SA (Special Agent) Lynn Aldrich. I was the first Roswell researcher to connect that name to ROSWELL in 2002 when I was told how to view FOIA documents from the FBI on UFOS using modern digital software to make what the FBI had hidden in blacked out pages magically appear and Mr. Aldrich’s name UNKNOWN to any so-called ‘researcher’ of UFOS and Roswell had never been connected to Roswell before I did in 2002. So a 2002 Article I wrote about SA Aldrich was the first mention of him connected to Roswell something ripoff Roswell researchers never admit to. The information was also in my 2002 Book on THE FBI UFO FILE. 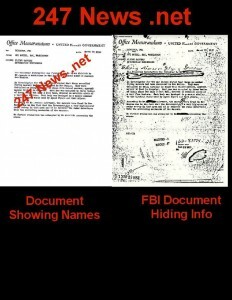 SA Lynn Aldrich did a report that the FBI released in the 1970’s that was blacked out. In 2002 I was able to show what they FBI had hidden and that was images taken in 1947 of a UFO that looks just like our modern Stealth Bomber. So the FBI and US Government hid the most important thing from the world, that the report from 1950 was about ROSWELL NEW MEXICO and 3 crashed ‘flying saucers’ and how 3 small humanoid bodies were found in each crashed UFO. 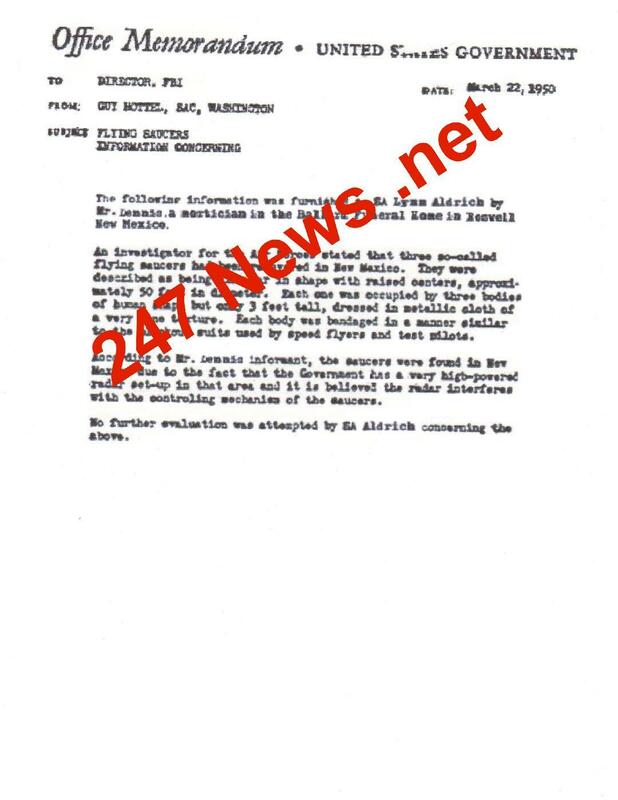 The FBI hid the fact that the INFORMER who had claimed to have been TOLD THIS BY A US AIR FORCE INVESTIGATOR is a key witness in the Roswell story, since he had claimed for years that the US Military contacted him to provide small coffins for victims of a flying saucer crash which is exactly what the 1950 FBI document shows. Now it appears I WAS CHOSEN to unleash this BOMBSHELL about Roswell, UFOS and Aliens by TPB (The Powers that Be). I did not use any digital magic to see what the US Government was hiding this time as I did in my book THE FBI UFO FILE. I was handed the image in this story and told it came to one of our publishers mail drops addressed to me. So the document on this site is scanned from the document that was sent to me and 247 News .Net was added to show this document is from our site. Here is the most important document thus far in the history of the world, since it proves UFOS are very real and the entities that pilot them are not human. Are the pilots aliens? I don’t think so due to the work of Dr. Sol Adoni on the topic. His books on LOST ANCIENT CIVILIZATIONS reveal how very advanced LOST ANCIENT CIVILIZATIONS existed on earth 12,000 or so years ago and that civilization most likely created the so-called greys. They are a hybrid-humanoid clone. Here is the most important document in human history. Remember, the FBI HID it was about ROSWELL. They hid the name of the Special Agent Lynn Aldrich that I had revealed was a major name in the Roswell story in my book on the FBI and UFOS. They also removed the name of the person that has claimed for years THE US MILITARY CONTACTED HIM ABOUT COFFINS FOR SMALL BODIES connected to the Roswell UFO Crash. Before I was given this historic document, the FBI document validated what witnesses often discredited by the media and ‘researchers’ had been saying for many years, the Roswell event had multiple crash sites and small humanoid bodies. So while many claim that story was created in the 1970’s and 1980’s when Roswell interest had a rebirth in Ufology circles, the FBI document validates that since 1950 multiple crash sites and small humanoid bodies were involved in the Roswell event. NOW THIS DOCUMENT PROVES ROSWELL REALLY HAPPENED. THIS DOCUMENT PROVES THE US GOVERNMENT COVERED IT UP. Here is the document I was given. It shows what the FBI site removed INTENTIONALLY. Roswell New Mexico is in the document, Special Agent (SA) Lynn Aldrich) is in it and so is Mr. Dennis the mortician where the US Military called to get small coffins. Here is the FBI site where they are HIDING the real information you need to see ROSWELL REALLY HAPPENED. Our document is from a source document closer to the original THAN THE FBI files copy, but they cannot 100% authenticate it.